Is Europe’s swing to populism fuelling anti-Semitism? Why are we talking about anti-Semitism now? Britain’s three main Jewish newspapers this week joined forces to print identical front pages to warn that a Jeremy Corbyn-led government would pose an “existential threat to Jewish life”. It comes amid persistent accusations of anti-Semitism in the left-leaning Labour Party that Corbyn leads. The party had tried to head off these criticisms by publishing a 16-point code of conduct for its MPs to follow. But it has only seemingly fanned the flames of critics — illustrated by the actions of the Jewish Chronicle, Jewish News and Jewish Telegraph. Labour endorses the International Holocaust Remembrance Alliance’s (IHRA) working definition of what constitutes anti-Semitism but some are angry it has not included some key segments. “This is a code that’s been adopted by organisations and political parties all over the world,” said Sam Stopp, a former Labour councillor who quit the party partly because of the furore around anti-Semitism. “Even then they tried to water it down by excluding some of the definitions. “It’s as though they cannot even do the most basic of PR exercises, which is what this was intended to be. “It tells all you need to know that a supposedly anti-racist party when trying to adopt a code of anti-racism tried to water it down — in the context of all the concerns there have been about anti-Semitism in the Labour Party." 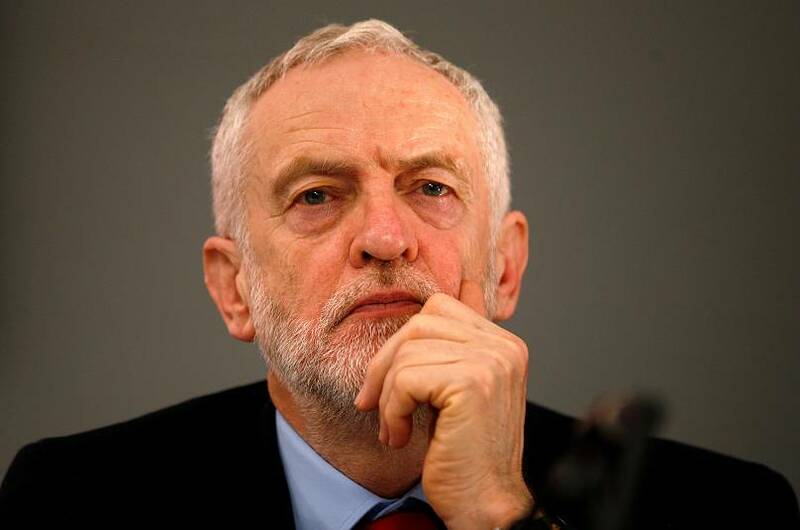 A spokesman for Labour said the party recognised the concerns raised by the Jewish community and acknowledged there was a "huge amount of work to do" to build trust and confidence. "The next Labour government poses no threat of any kind whatsoever to Jewish people," she said. "The security and wellbeing of Jewish people is a priority for our party and in government we will always ensure schools, synagogues and institutions are properly protected." “Anti-Semitism is a certain perception of Jews, which may be expressed as hatred toward Jews,” reads the definition adopted by the IHRA. But Brendan McGeever, acting associate director of the Pears Institute for the Study of Anti-Semitism, told Euronews he was sceptical about the usefulness of such definitions. “I think what people want is an easy two-sentence definition that explains whether something is or isn’t anti-Semitic. But that’s not going to give the answer [as to whether something is anti-Semitic]. Is it only the British left that is accused of anti-Semitism? “What’s happened is that European social democracy for a long time now has been gradually shifting to the right on a whole series of social questions. “Regarding Israel-Palestine, social democratic parties have generally adopted the two-state solution and have been labelled by the radical left as adopting a broadly Zionist position. “What I think is unique about the British Labour Party is, having been isolated for decades, a certain tradition of the Labour left has suddenly gained control of key institutions of the Party at a leadership level. Is it just the left that has a problem with anti-Semitism? Dr McGeever said the problem of anti-Semitism on the left is real and it has been inattentive to it for too long. However, the bulk of such racial discrimination in Europe comes from the hard and far right, he added. Earlier this month Gottfried Waldhäusl, a cabinet minister in the state of Lower Austria and member of the far-right Freedom Party (FPO), called for the country to create a register of Jews and Muslims who would be allowed to buy kosher and halal meat. He claimed it was from “an animal welfare point of view” but critics said it served as a “reminder of Jewish history’s darkest chapters”. It comes after Poland earlier this year enacted a libel law that punished those who accused the country of being complicit in the Holocaust. It has since been watered down but critics had said it was an attempt by Poland’s nationalists to bury their anti-Semitic past. Then there is the case of Hungary. 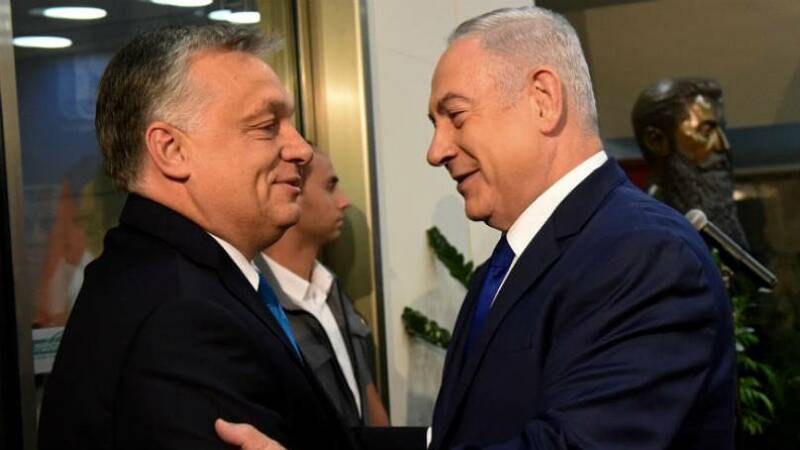 On the one hand its Prime Minister Viktor Orban is critical of Jewish billionaire George Soros’ support for liberal organisations in the country while on the other he enjoys a good relationship with Israeli counterpart Benjamin Netanyahu. “Orban ran an anti-Semitic campaign last election with Soros seen as the key figure that is a danger for Hungary,” said Yair Wallach, chairman of the Centre for Jewish Studies at SOAS University in London. “In the context of the anti-liberal backlash in Hungary anti-Semitic rhetoric plays a very important role for Orban. “You have hard right Islamophobic political leadership from various places that finds a common denominator with the current Israeli government,” added Dr Wallach, speaking about Orban’s relationship with Netanyahu. Is anti-Semitism on the rise in Europe? It is difficult to say whether anti-Semitism is rising in Europe: the European Union’s Agency for Fundamental Rights said there were “large gaps in data collection on anti-Semitism” across the bloc. 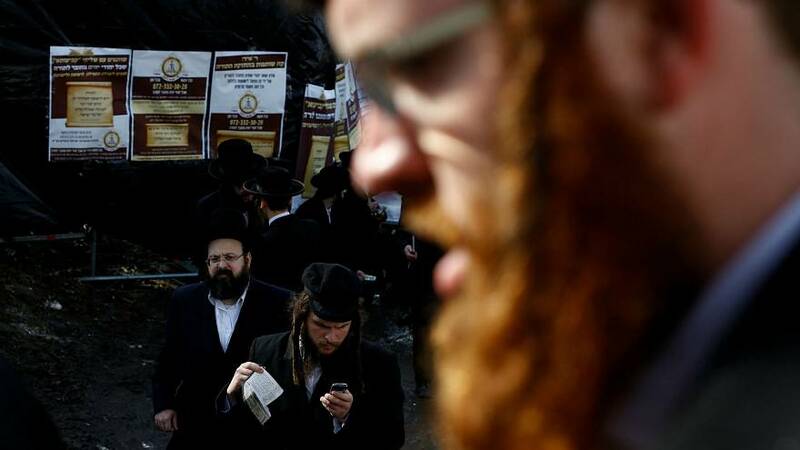 But researchers at Tel Aviv University said in April that while violent attacks on Jews worldwide had dropped in 2017 the year had been characterised by the normalisation and mainstreaming of anti-Semitism not seen in Europe since World War II. Has anti-Semitism been emboldened by Europe’s populist swing? Europe has seen a swing towards populist parties in the last decade with Italy the most recent example where they took more than 50% of the vote and now govern in a coalition. This move to the extremes of the political spectrum across the continent has led some to suggest that it is fuelling anti-Semitism. “I think there’s been a drift to the right, not just in Britain, not just in Europe but globally,” said Dr McGeever. “There’s Italy, there’s Hungary, there’s Poland. But also we can see it in Modi’s India, Putin’s Russia and Trump’s America. “Racisms in all forms have been emboldened by this hard right drift. “It’s different from country-to-country, and the extent of anti-Semitism is uneven. Certainly, the intensification of anti-Semitism in eastern and central Europe is connected to this drift to the political right.